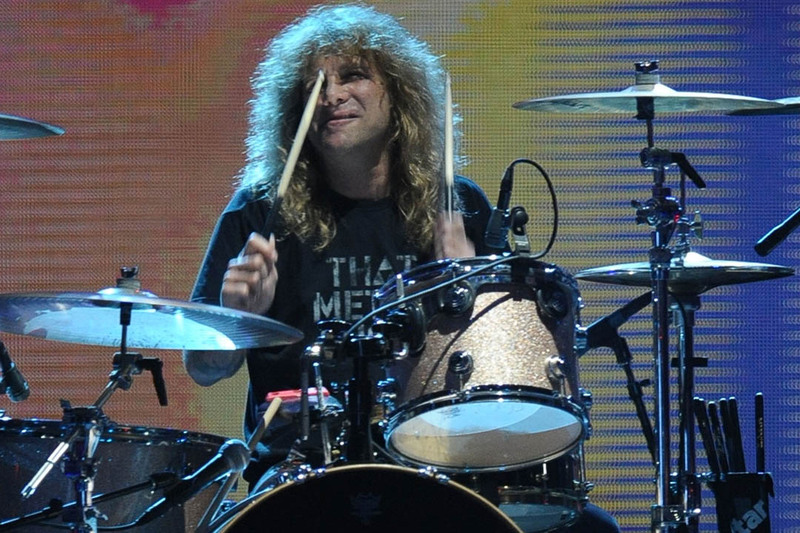 Drummer Steven Adler performed with GUNS N’ ROSES for the second time in 26 years on Saturday night (July 9) in Nashville, Tennessee, where he once again joined the group onstage to play drums on “Out Ta Get Me” and “My Michelle”. He previously performed the same two songs with GN’R at Wednesday’s (July 6) concert in Cincinnati, Ohio. These two shows marked Adler’s first two appearances with GUNS N’ ROSES since 1990, although he performed with members of the band at their 2012 induction into the Rock And Roll Hall Of Fame. Speculation about Adler having some sort of involvement in the GUNS N’ ROSES reunion has been rampant ever since the band made it official with a surprise April 1 show at the Troubadour in Los Angeles. Adler was reportedly going to appear at that gig until he was sidelined by a back injury. The regular GUNS N’ ROSES drummer for several years has been Frank Ferrer, who is also part of the current lineup that boasts classic lineup members Axl Rose, Slash and Duff McKagan. Adler was thrown out of GUNS N’ ROSES in 1990 due to his heavy drug use, a problem he struggled with for years after his dismissal. The GUNS N’ ROSES “Not In This Lifetime” tour continues on Tuesday (July 12) in Pittsburgh, Pennsylvania.